Orthodontists should know all about teeth and how they should be treated. A great orthodontist will offer plenty of information and give you opportunities to learn. However, it’s very helpful to know what questions to ask! You don’t want to leave the office and realize you forgot to inquire about part of your treatment. At Rogers & Andrews Orthodontics, we understand that patients get a lot of confidence from knowing what is going on and what to expect. That is why we carefully take the time to answer our clients’ questions and ensure they feel comfortable. Working with us means you get a team who knows what it’s like to navigate the world of orthodontics and try to figure out what is best for you. In today’s blog, we’re going to provide some great questions that you can ask prospective specialists. Hopefully, the answers you get will give you important insights into whether or not you want to go to an orthodontist or not. What types of changes will I need to make while I’m being treated? Knowing what braces or other orthodontic treatment will require of your daily routine empowers you to make the most of your time. Our teeth are integral parts of our daily lives, so it’s important to understand what will change during treatment. Chewing and talking can be affected. You’ll probably have to change how you clean your teeth as well. By making sure you fully understand what you’ll need to do differently during treatment, you can make it easier to choose a treatment route. For instance, if you don’t want to have to clean around braces, you can opt for Invisalign instead. When you consult with our experts, you’ll have the chance to get the information you need to make an informed decision. Where did your orthodontic specialty residence occur? These questions should help you get a feel for how dedicated an orthodontist is. If the orthodontist does ongoing training as well, that’s even better. How long can I expect my treatment to last? This question is very important as it determines how long you’ll be paying for and dealing with your orthodontic treatment. 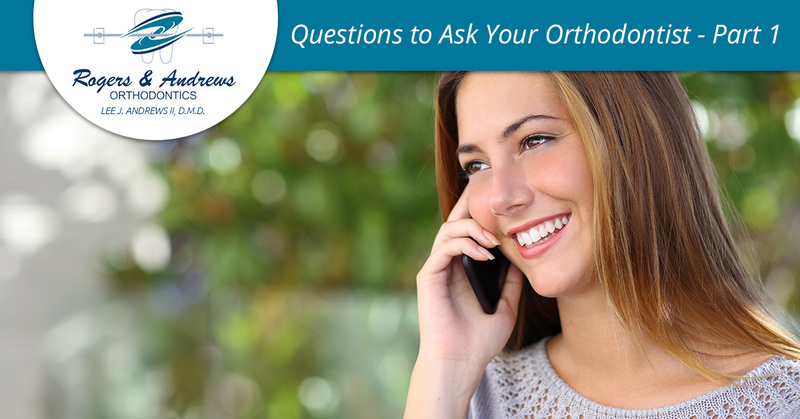 A very common question, you should always ask it if the orthodontist isn’t already offering the question. Each treatment is different, and the length is determined by both the issue you’re trying to solve and the method being used to solve it. The average orthodontic treatment lasts around two years, which is a significant amount of time. Make sure you understand how often you’ll need to visit the orthodontist during your treatment, too!